Please follow my wildlife photo shoots here. I am off to Maui, Hawaii this weekend for a whale photo shoot. This time of the year, many whales, especially Humpbacks have migrated from the frigid waters of Alaska to the warmer seas off Baja, California and Hawaii to mate or give birth. Last January, I was down in the Baja Peninsula for another shoot but the action was not that good. Hope this Hawaiian trip will be better. It will be tough for me to keep up with the daily photography blog posts once I am into my photo shoot but I will do my best. You can follow my shoot on the Wildlife and Travel section of my Blog. 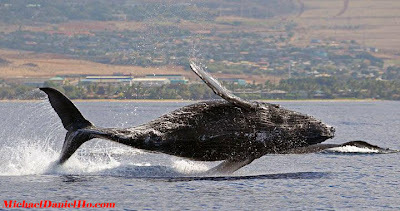 Visit my website, MichaelDanielHo.com to see many whale photos from previous shoots out there in the islands.